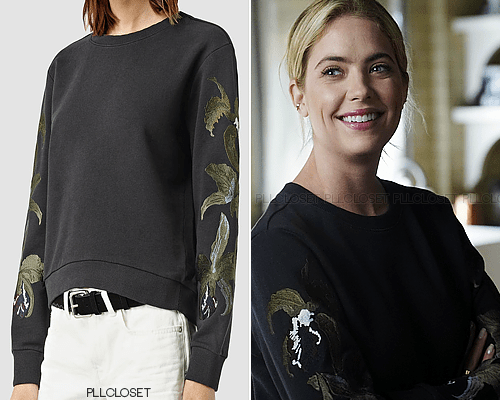 I loved Hanna’s pullover here. It’s such a nice little sweater to wear whenever because it’s casual but slightly more elevated because of the design. 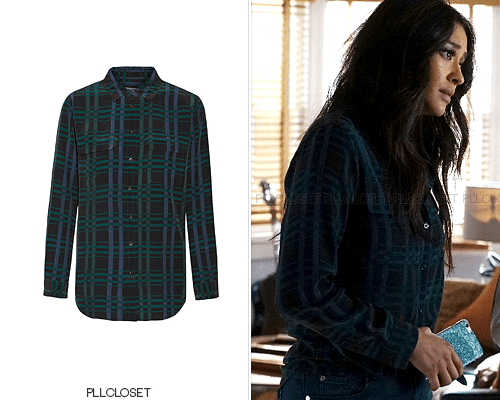 Emily’s plaid shirt was super pretty and I wasn’t surprised to see it was silk because it looked so soft when I first saw it on Emily. I also love the darker color combination here. This boxy jacket and skirt combo was also very pretty with it’s pattern. 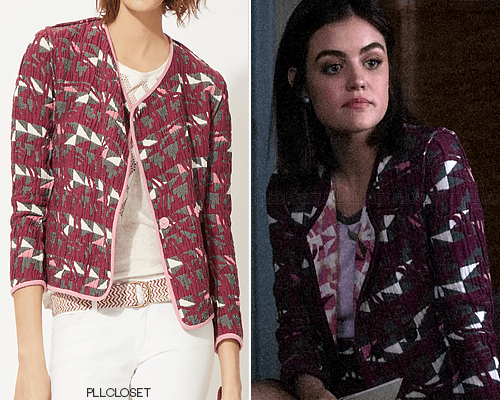 I also like how it looks like a quilted jacket, which adds another dimension to her classic jackets. This pajama set is definitely a steal for those who want it. It’s in such a pretty lilac color. I’m sure people were dying during this scene from all the tension, but I couldn’t help but notice how pretty this set was. 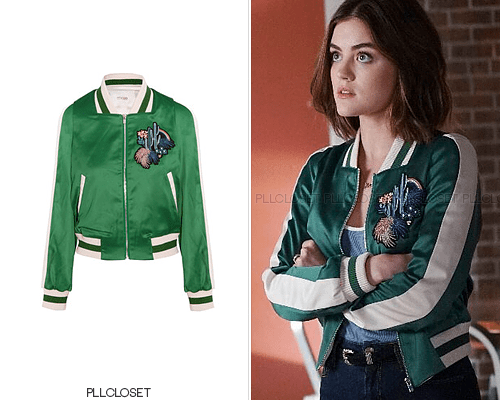 Also be sure to check out PLL Closet on Tumblr for more fashion from Pretty Little Liars!